This composition was first written as a study for a middle school cello section with whom Mrs. Shapiro often worked. It was designed to teach the young musicians to play in higher positions on the A string. A modern version of Baroque counterpoint was employed so that the melody would become familiar to the ear, and in order that the musicians would have the opportunity to practice shifting in all four parts. However, the fourth part was purposefully simplified for the less advanced students. 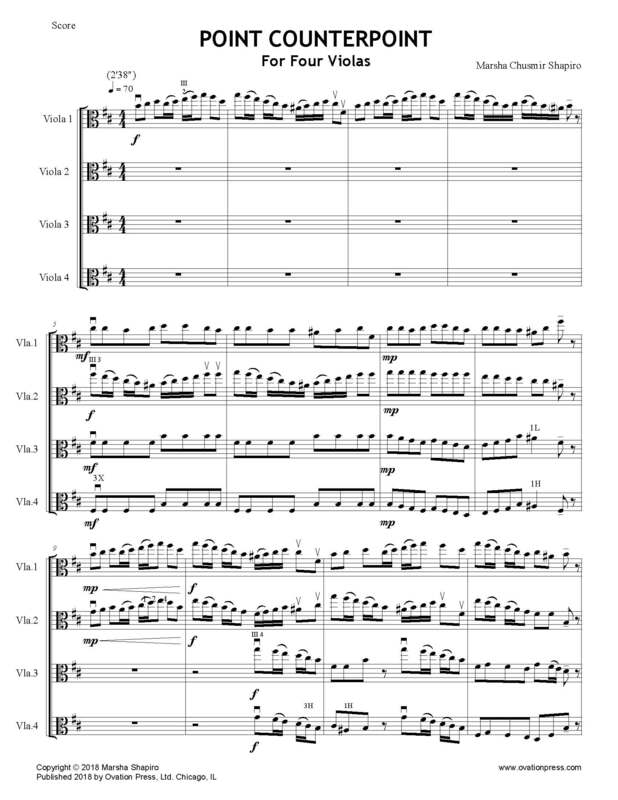 The piece consists of a melody and its retrograde (backwards) with a return to the main theme (ABA). Point Counterpoint was later transcribed for four violas, string quartet, and string orchestra (in D-minor).